Surrounded by the majestic North Cascades, the Skagit River, crystal clear lakes, neighboring the San Juan Islands, Deception Pass, nestled in historic communities like La Conner and Edison, an agricultural cornucopia and a scenic rural country side setting, the Skagit Valley craft beer, distillery and wine region is a perfect destination. 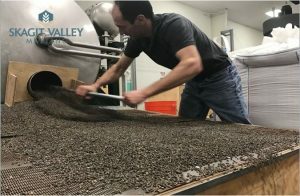 The Skagit Valley is a unique craft beer and wine region, capitalizing on the rich agricultural soil, barley for malt, fruit products grown locally, access to premium Washington vineyards, and varietals grown in near perfect conditions in the valley. The Skagit Valley is an ideal growing location for a number of barley varietals for craft beer, Germanic grape varietals like Siegerrebe, and Agria, as well as popular red wines such as Pinot Noir. The Skagit Valley has a similar climate and growing conditions as some of the popular European wine growing regions. We invite you to visit our craft breweries and boutique wineries, taste the local award winning wines, and enjoy the beautiful Skagit Valley. 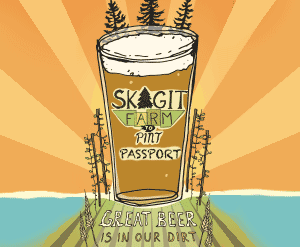 For Skagit Valley Craft Breweries, check out the Skagit Farm to Pint Passport and Tour!